Boosts the supply of hot or cold or blended water (from a shower mixer). Ideal for improving the performance of a single shower offering a compact and cost effective pump for domestic use. Suitable for positive head applications only. 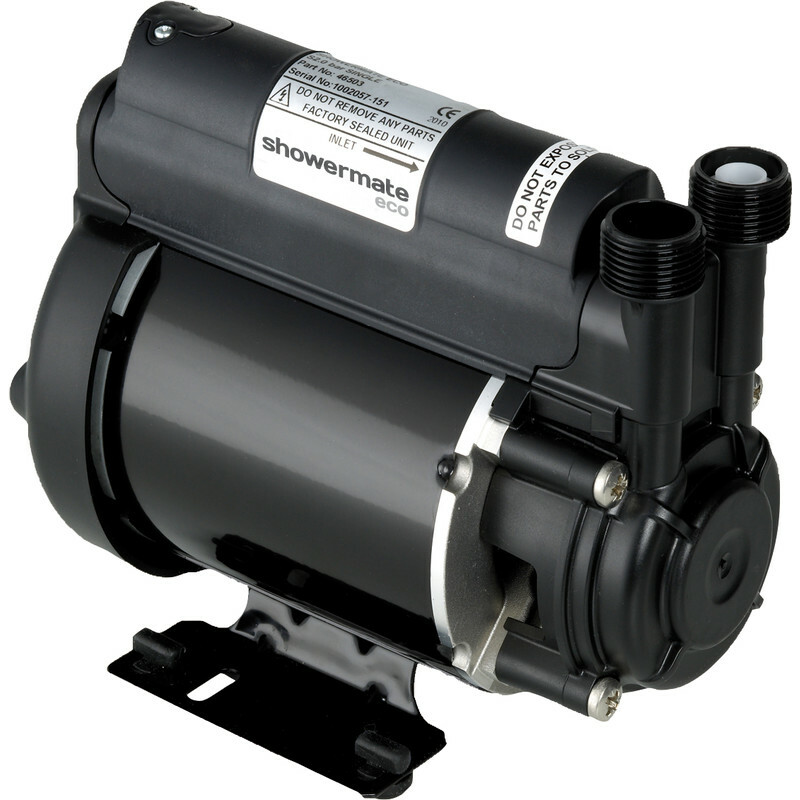 Stuart Turner Showermate Eco Standard Single Shower Pump 2.0 Bar is rated 2.5 out of 5 by 2. Rated 1 out of 5 by Wilhelm from Pump no Pump I bought this some time ago to take to my place in Spain. When I installed it there it would not work. Totally usless and anoying that I carried it all that way for nothing.